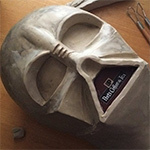 Today I received an email the MR RotS Vader is ready to ship also..........I HOPE! 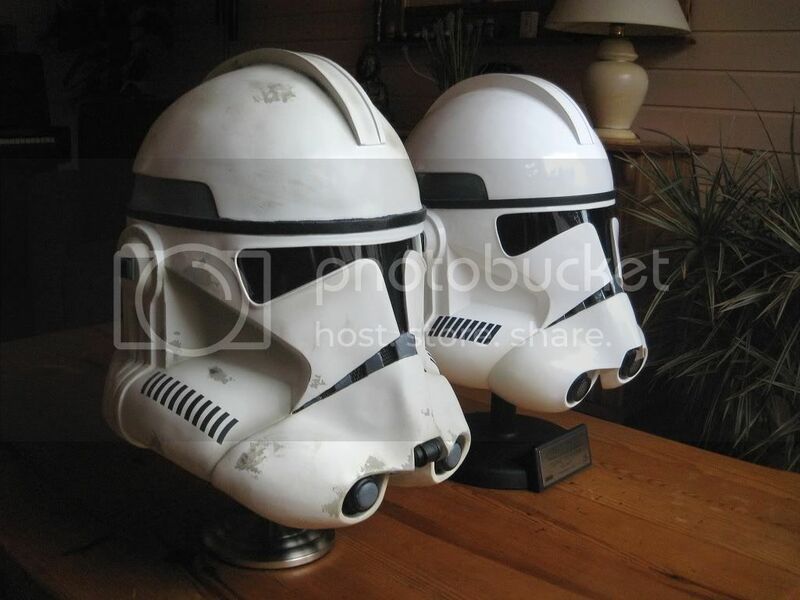 Great helmet display you got going there! Nice going MR... but better late than never, eh!? That's a very nice display. I'm very jealous, but shudder to think what you've paid for those. Oh, picky, picky! To clarify, for the nit-pickers, I meant that I shudder to think of HOW MUCH MONEY you've paid for those. 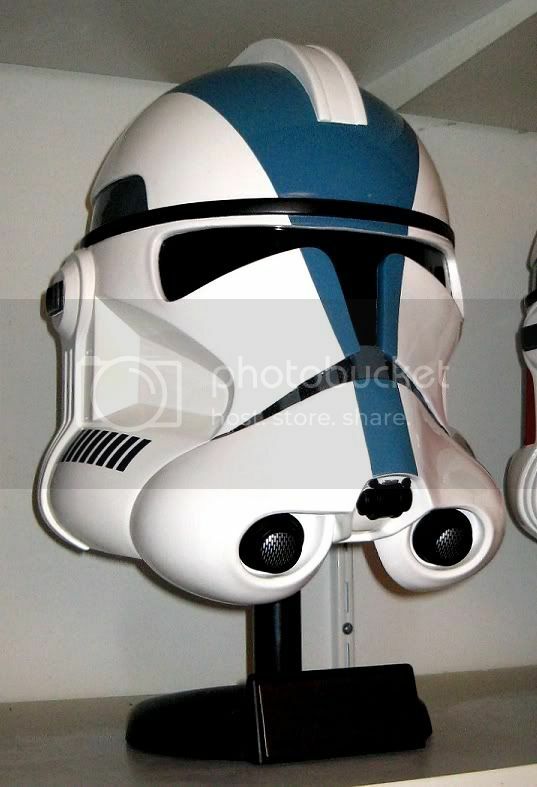 I'd love the shocktrooper helmet in particular, but can't afford the $400 I just saw it for. Hmm... didn't mean to diss you... I just got a dirty mind! 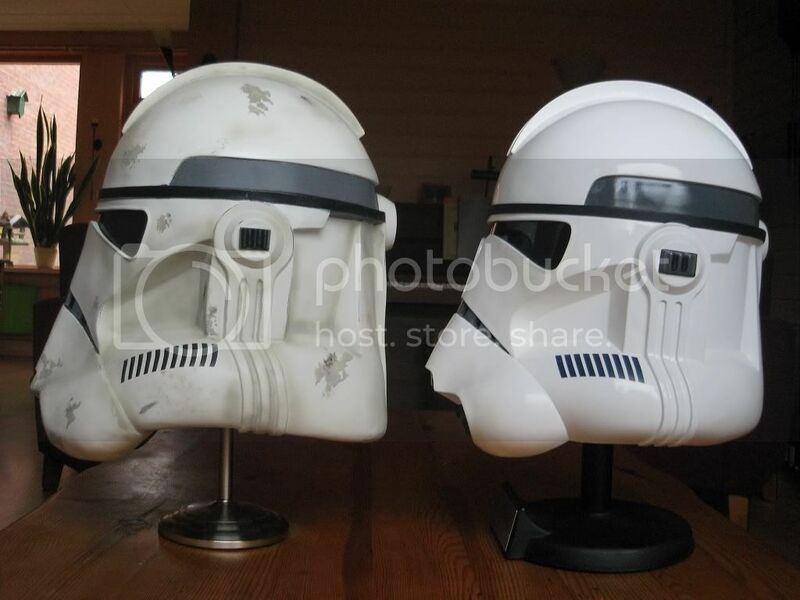 Hey, I see the two different prequel trooper helmets -- one on the upper shelf next to the Imperial Red Guard, and one next to the Sheppardton stunt helmet. 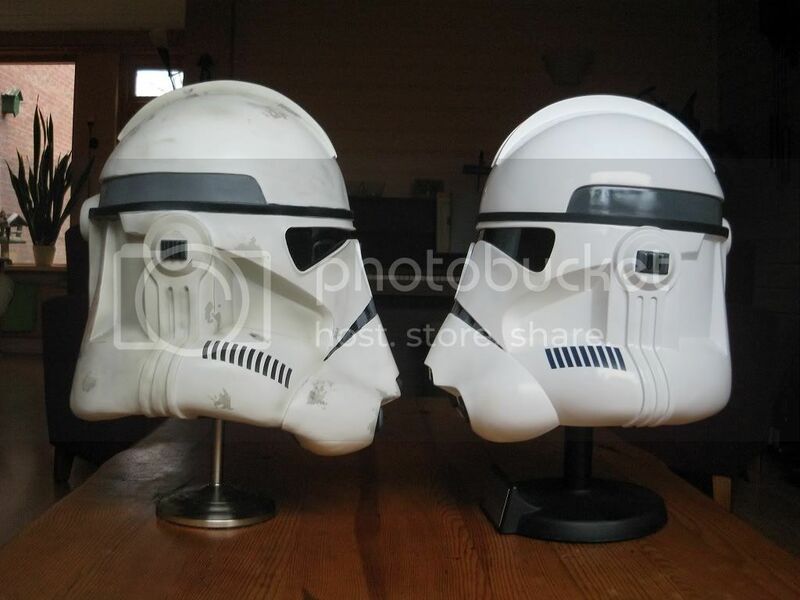 Could you post a side-by-side photo of the two? I'd love to see their similarities and differences. Could you tell us more about the one on the upper shelf? 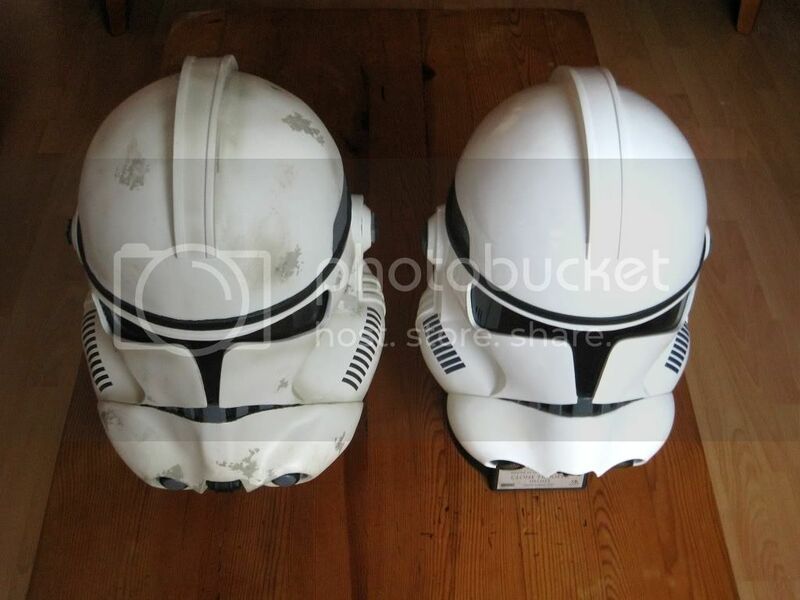 The one on the bottom is an MR, right? The one next to the SDS Stunt is an MR Standard Clone. 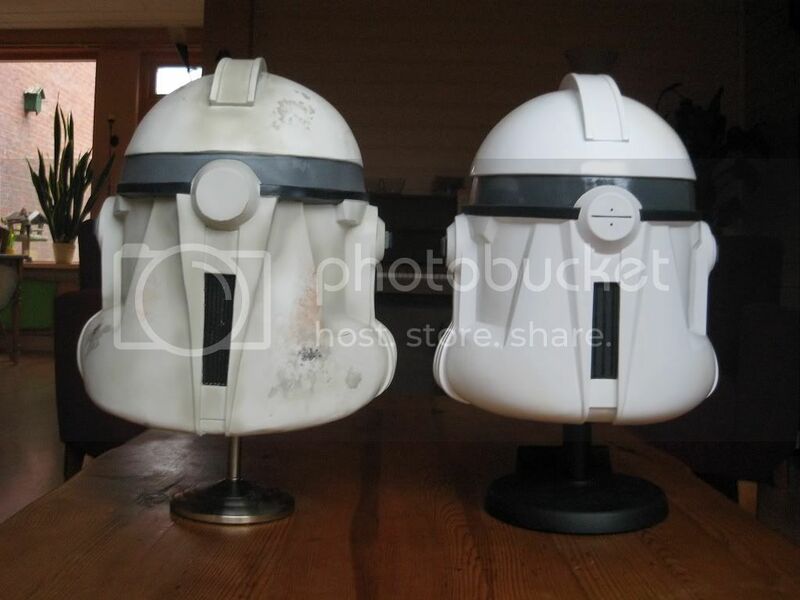 The other one is a JM1 helmet. It's fan-made and larger than the MR. I'll post some comparison pics this weekend. Last edited by StarWars Collector on Thu Jan 04, 2007 7:10 pm, edited 1 time in total. Oh... you don't wanna know! It's just that I'm having some trouble uploading pics from my digital camera. 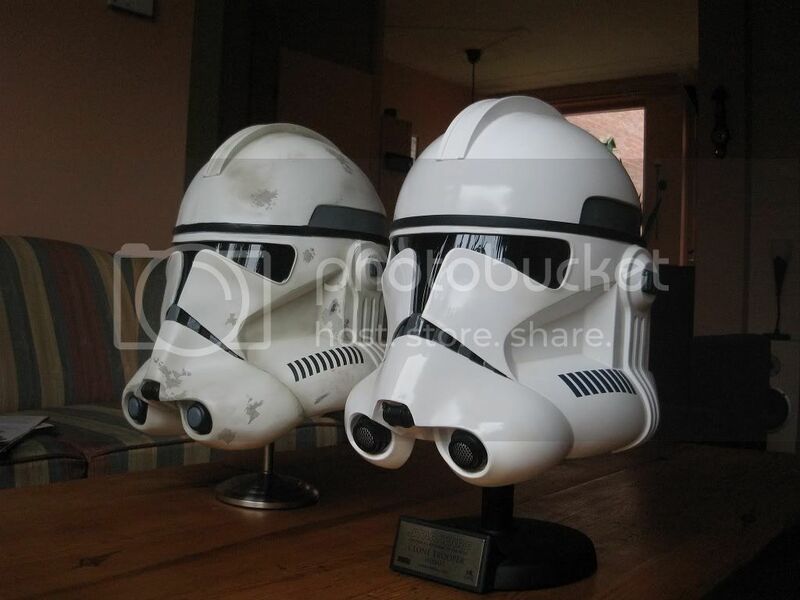 Hi starwars Collector. 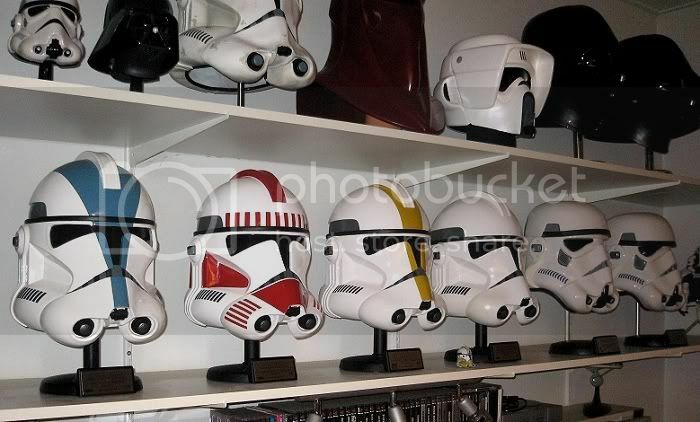 That's a great helmet collection. 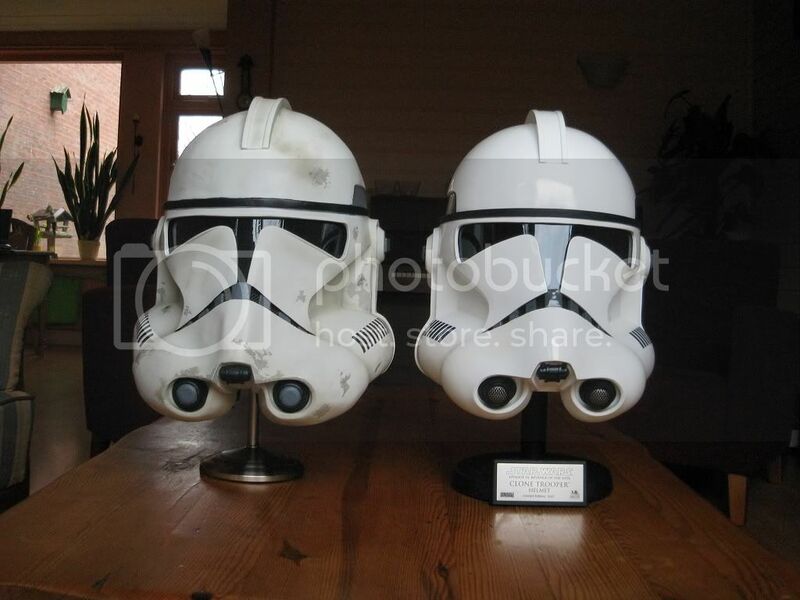 Do they give the clone helmets away in the Netherlands or are you like a millionaire? I'm still trying to afford the MR. vader but the wife ( doesn't get it. ) my truck ( blew up. ) and the house ( needs roof ) are all making it very hard. or are you like a millionaire? Keep in mind the JM was designed well before the MR.